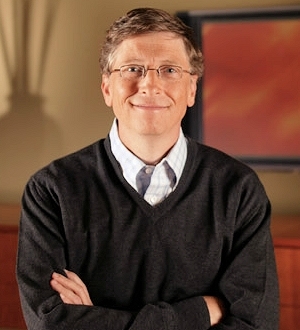 Microsoft chairman Bill Gates was recently on a program called "Hard Talk." Even though the billionaire's role at the software giant isn't as important as it once was, the interview still featured a Microsoft section, and there were some interesting insights into Gates' thoughts about the company. First, Gates was asked about Microsoft's inability to execute in regards to the phone, the tablet, and the overall handheld revolution. In short, the interviewer rated the company very poorly in comparison to how other tech companies are doing and concluded that Microsoft has been left behind in mobile. "Oh, I wouldn't say that," Gates replied. "I'd say there are companies doing very good work in that area. I think the phone has become very software-centric. So whereas about three or four years ago, if you look what Microsoft was saying, they were saying the phone would become software-centric; that's really taken place. And so it's software approaches that are succeeding there. The idea that reading and media are moving down on to the digital device – that's good news and Microsoft has to create the best device for those scenarios." The general consensus is that many other companies are both doing better in mobile than Microsoft is. Gates brushed this aside and specifically said that many tech companies, and he specifically named Microsoft, Apple, and Google, are doing fascinating work in the mobile world. He was then asked if the age of the PC was coming to an end. "The PC is the tablet," Gates answered. "All these digital devices are going to work together, so the importance of software is higher today than ever. Microsoft writes to everything that software runs on. So you're going to see PCs where 'is that a tablet? is that a phone?' You know, the words are going to change, because the innovation is so rapid." Gates' belief that the tablet is yet another PC form factor is something that Microsoft regularly drives home. I tend to agree, but I know many do not. Two months ago, Craig Mundie, Microsoft's global chief research and strategy officer, said that he didn't know whether tablets would "remain with us or not". Multiple times during the interview Gates emphasizes how the role of software is only becoming more and more significant in our technology-dependent society. Although he is correct, his statements are not really too big of a surprise, since Microsoft is the largest software company in the world.